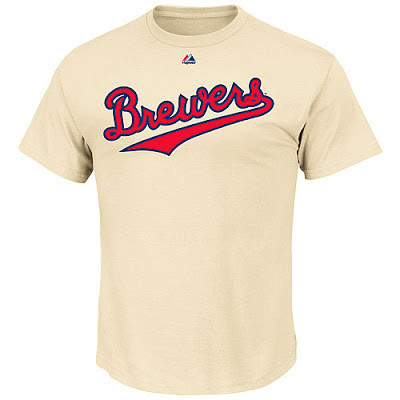 We're still a week away from the the Brewers/St. 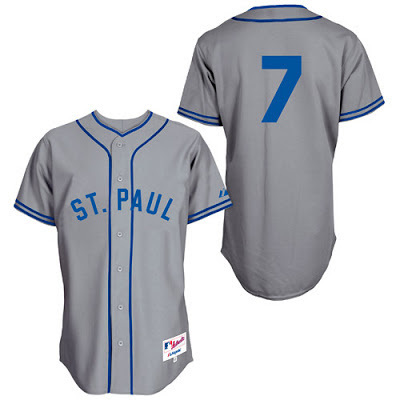 Paul Saints throwback game in Minnesota, but retro merchandise from that game is now available on Major League Baseball's online store. Of course, jerseys are a popular item, and they're now available. I really don't understand MLB's pricing. 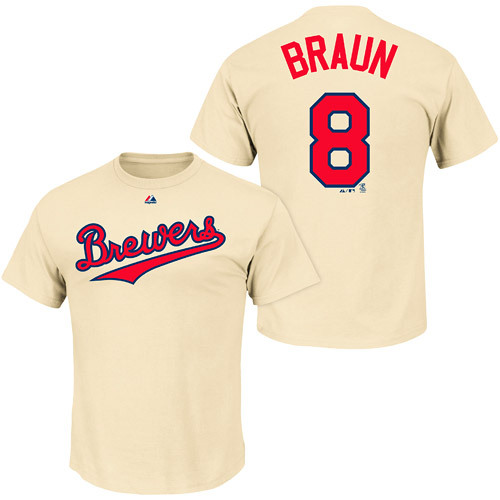 Putting Braun's #8 on the back adds $20 to the price, but Jonathan Lucroy's double-digit number increases that by only a buck. If the retail jerseys are a bit out of your price range, you could always look at picking up one of these jersey t-shirts. That really captures the spirit of the Brews' elegant script. 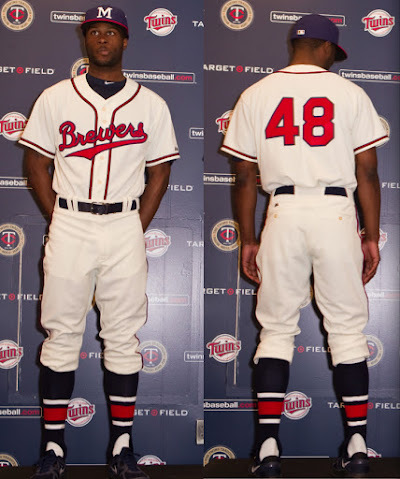 Again, this is a Photoshop rendering, but I really hope the wordmark looks like that. 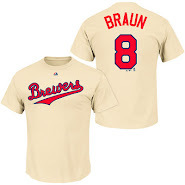 The blank version retails for $21.99, and for five dollars more you can get a name and number on the back, the same choice of Braun or Lucroy. 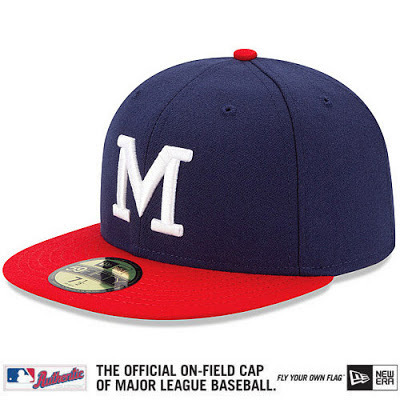 This is the first throwback cap available this season. The Brewers had intended to sell white 1913 throwback caps, but New Era's inability to match Majestic's cream jerseys necessitated a last-minute change to blue caps, preventing MLB's merchandise machine from taking full advantage of the opportunity. These 1948 Brewer caps appear to be the same as the Milwaukee Braves caps New Era has been selling for several years. 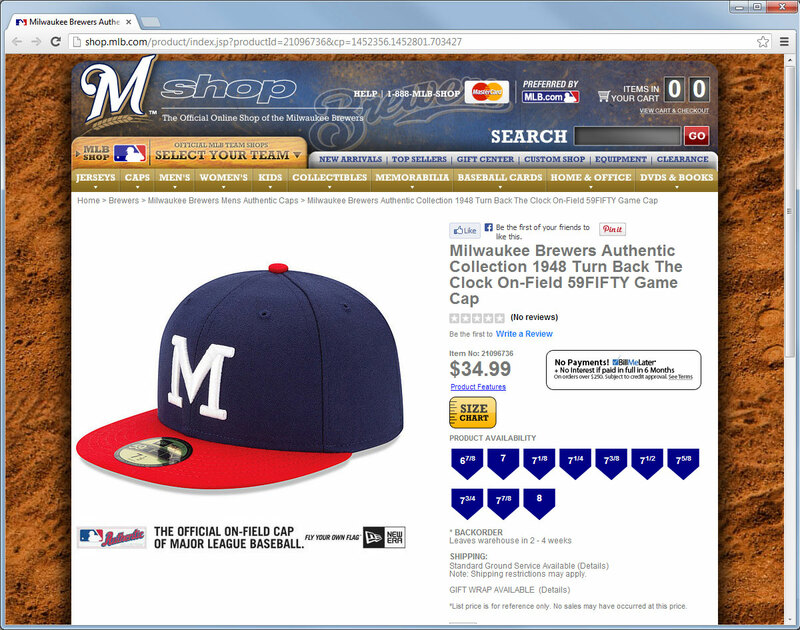 There are no additional pictures of the cap on MLB's site, but from the unveiling we know that the caps will have Jerry Dior's "batterman" logo on the back of the cap, as all modern game caps do. 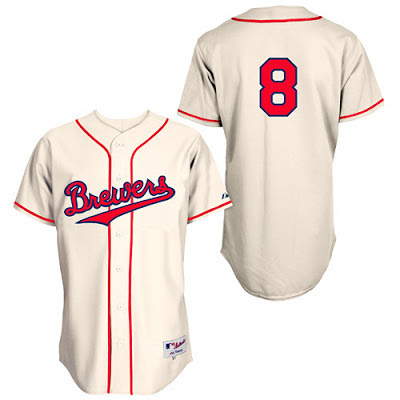 As for the Brewers' opponents in the game, the shop only has two items, or rather one item in two forms; the 1948 throwback jersey, with or without Joe Mauer's number on the back. ...and that's it. No caps, no t-shirts. 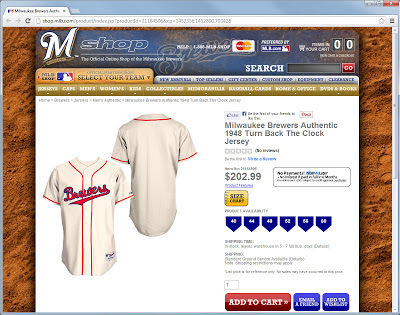 Based on the initial unveiling, I was expecting a whole line of t-shirts, jackets and more. Perhaps those will be added soon, or perhaps they will be Target Field exclusives. I can't imagine they'd let the visiting Brewers outshine them in the marketplace. So go check 'em out, and be sure to pick something up. 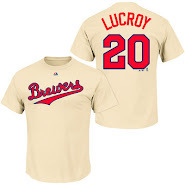 I've already ordered a t-shirt. Support your Brews! Points for obscure Python-related reference in the post title, Chance.